This 14 oz. super heavyweight uniform is constructed of 100% brushed cotton canvas with an additional layer of material to reinforce vents, underarms and the backs of the shoulders. 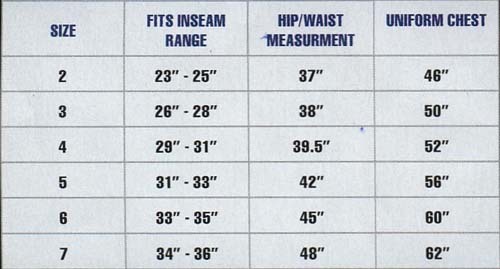 The traditional drawstring waist pants feature a gusseted crotch, while the jacket lapel has six rows of stitching, high-quality interfacing for maximum firmness and durability, and is cut 1 inch longer than traditional jackets. Flat seams maximize comfort with multiple lock stitching on the hems for added strength. Belt not included.